This bath bench from Drive Medical comes with Tool-Free removable padded arms. This bath bench is designed to provide added security, stability and comfort. The aluminum frame is lightweight and durable, as well as corrosion proof to ensure easy transferring and product longevity. The drainage holes in the seat reduce possible slipping ensuring user safety. 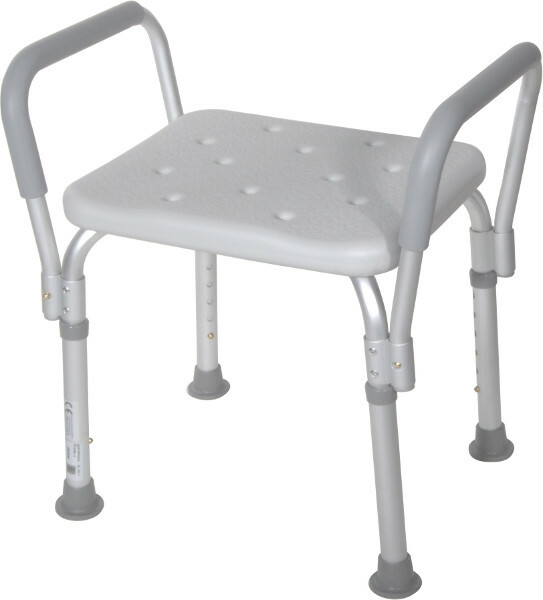 The legs are adjustable to accommodate any size user. This item is made from recyclable material. Suite #958B, 999 36th Street N.E.